Making Music host James Everest sits down for an artist talk with the classically trained musicians of Sō Percussion and their collaborators for their latest work (and Walker Commission/World Premiere) Where (we) Live. Director Ain Gordon and choreographer Emily Johnson share their insights about the nature of collaboration, performance, and improvisation. Gordon discusses his role in finding the dramatic arcs and theatrical structures for the piece, and alternatively, Johnson describes her approach to bringing movement, instruction, and chance to the performance showcasing how artists of seemingly disparate talents collaborate and come together to make a successful work. 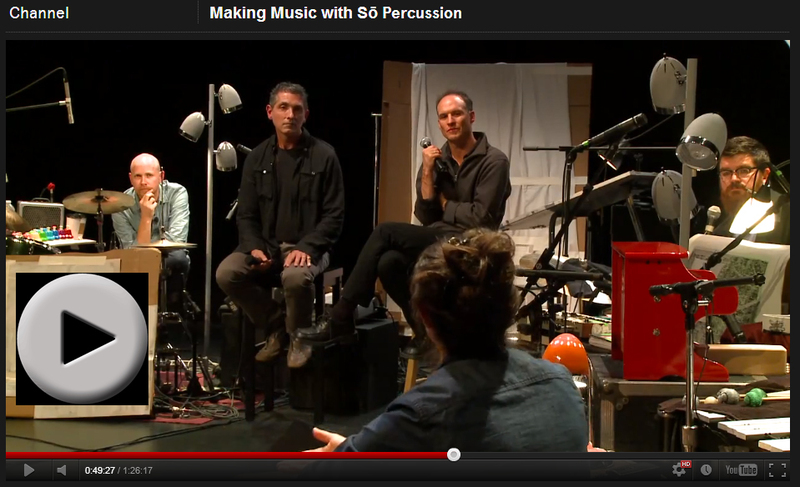 During the discussion, members of Sō Percussion share their motivations for the new project and explain their unique transitions from their lives: from conventional music schools to their current projects of experimentation and exploration. Throughout this interesting and in-depth discussion, the performers discuss relevant themes of community, place, and home.